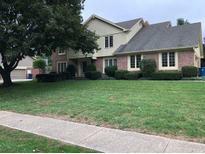 Below you can view all the homes for sale in the Foster Grove subdivision located in Carmel Indiana. Listings in Foster Grove are updated daily from data we receive from the Indianapolis multiple listing service. To learn more about any of these homes or to receive custom notifications when a new property is listed for sale in Foster Grove, give us a call at 317-427-7201. All These Things Say Welcome Home to You the Moment You Enter the Front Door! A MUST SEE Home! ! MLS#21633769. M.S. Woods Real Estate, LLC. Come see why this is such a wonderful family home! MLS#21623131. Indianapolis Brokerage Firm. Entertain family & friends on the professionally landscaped stamped concrete patio overlooking the beautiful in-ground pool! MLS#21626512. United Real Estate Indpls.